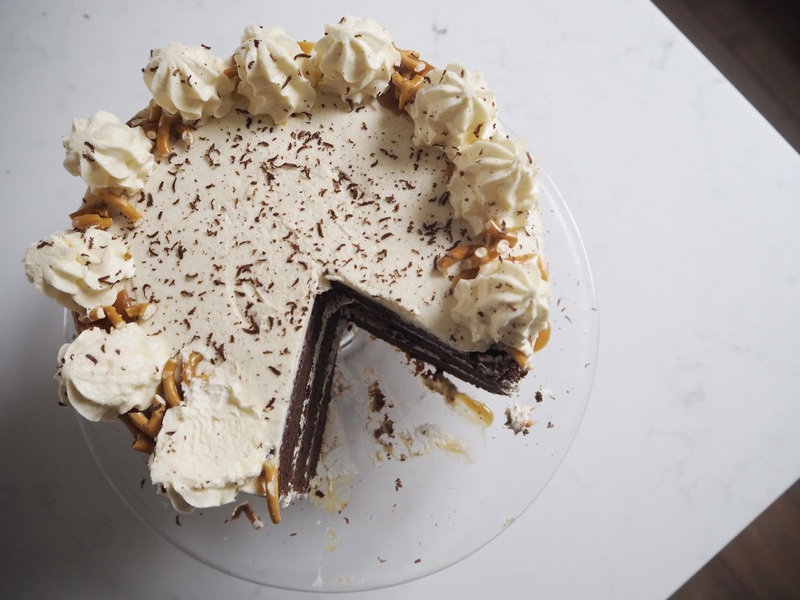 One of my favourite things is creating showstopping cakes for special occasions. Cakes that make people excited to eat them and cakes that ultimately taste just as good as they look. 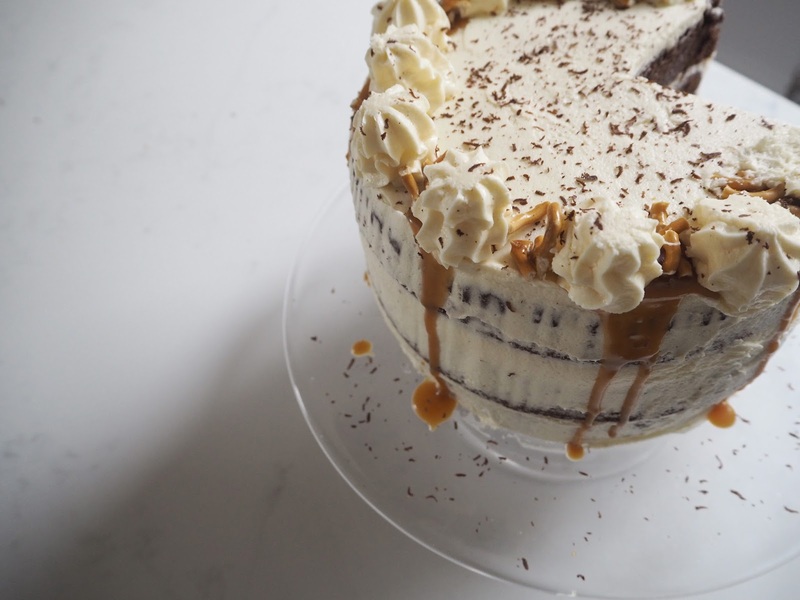 This salted caramel drip cake is a personal favourite and an extremely popular choice when it comes to birthdays! 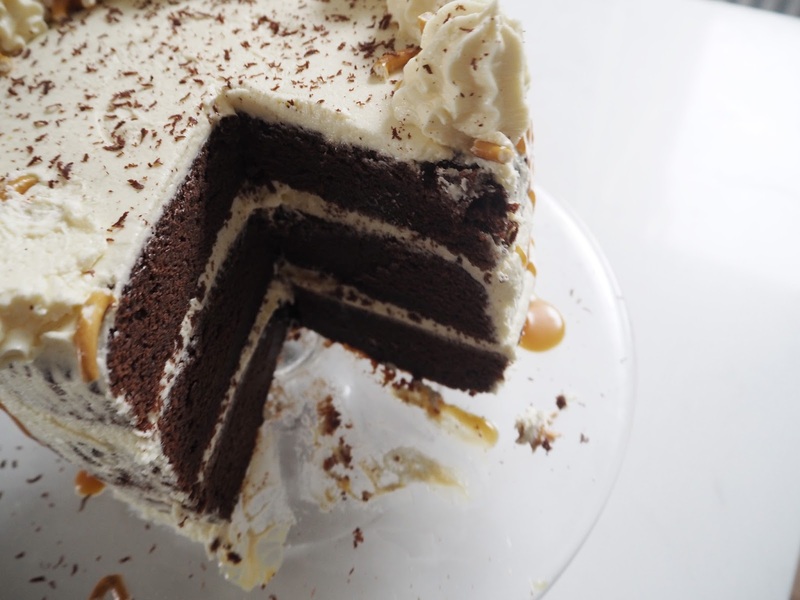 The light as air, ridiculously rich, fudge chocolate cake is the ideal sponge to be coated in a fluffy salted caramel frosting finished with a drizzle of said salted caramel, crushed salted pretzels and grated chocolate...what could be better?